September 28, 2018, Mumbai: 22nd edition of Globoil India – One of World’s largest events in the Agri Space specifically focusing on edible oil was inaugurated by Ibu.Ir. Musdhalifah Machmud, Dy Minister for Food and Agriculture Coordinating Ministry for Economic Affair, Govt of Indonesia on 27th September at Renaissance Mumbai Convention Centre Hotel, Powai, Mumbai. Shri. Ram Vilas Paswan, Hon’ble, Union Minister Food, Public Distribution & Consumer Affairs, Govt of India graced the occasion in the evening for Award Ceremony. Globoil India started in 1997 by Tefla’s has evolved into an independent and unified platform providing a meaningful interface amongst the various facets of the Edible Oil Industry. The Solvent Extractors’ Association of India was the Chief Patron of this forum. Globoil India has over the last 22 years become a calendar event for all those associated with the world oilseeds, vegetable oils and oil meals / feeds market as the conference draws leading industrialists, policymakers, domain experts and analysts who share their in-depth knowledge and crystal-gaze into the future. Every year a large no. of Companies from all over the world including Indonesia, Malaysia, Singapore, China, Middle East & Europe participate in Globoil. This year, apart from India, event witnessed huge participation, Business & Ministerial Delegations from Malaysia, Indonesia, Ukraine, Argentina, USA, UK, Middle-East & Germany. More than 1500 Delegates & around 100 Exhibitors had participated in this event. Distinguished Speakers in this event included Thomas Mielke, Editor-in-Chief, Oil World, Hamburg, Germany, Dorab Mistry, Director – Godrej International Ltd, London , Dr. Julian McGill – Head-South East Asia, LMC International, U.K, Dr. Sathia Varqa, Co-Founder, Palm Oil Analytics, Singapore, Nadir Godrej, Managing Director, Godrej Industries, India, Svetlana Sinkovskaya, Head-Marketing Department, APK-Inform Agency, Ukraine , Atul Chaturvedi, President – SEA & CEO – Agri Business, Adani Group Sudhakar Desai, CEO, Emami Agrotech, Angshu Mallick, COO, Adani Wilmar Ltd, Sandeep Bajoria, CEO – Sunvin Group, Himanshu Goyal, India Sales & Alliances Leader, IBM Watson Media and Weather & Nagaraj Meda, Managing Director – Transgraph Consulting Pvt. Ltd. The central government is committed to protect the interest of farmers and consumers, and the central government has decided to give major relief to sugar growers in the sugar industry and to eradicate the slowdown. Food package will be implemented soon said Hon’ble, Union Minister Food, Public Distribution & Consumer Affairs Shri. Ram Vilas Paswan at the Globoil India Conference. “Sugarcane production subsidy has been increased to Rs. 138.80 per ton, more than doubling of rupees 55 per ton during the upcoming sugar season. It also plans to export at least 50 lakh tons of sugar from the country next year. Proposals have been taken to fulfill this and for the export of sugar, a subsidy of 2500 to 3000 rupees will be given” Mr. Paswan added. The event also saw a panel discussion on product innovation and changing consumer dynamics. While Manisha Gupta,Editor, commodity and currency, CNBC TV 18, was the moderator, the panellists included Hemant Malik, Chief Executive Officer, ITC Foods; Sudhakar Desai, Chief Executive Officer, Emami Agrotech, and Angshu Mallick, Chief Operating Officer, Adani Wilmar Ltd.
Mr. Kailash Singh, MD, Tefla’s & Organizer Globoil India is of the view that, Globoil India is now an established annual feature and is keenly looked forward by the players in the vegetable oil trade and industry. A truly interactive forum, Globoil is enriched by international participation and provides an index of the rising importance of India in the Global Market Place. Over the years this forum has been successful in forging close relationship with various constituents of the International Edible Oil trade. The growing popularity of this forum is an index of the rising importance of India and the sub-continent in the Global Market place. 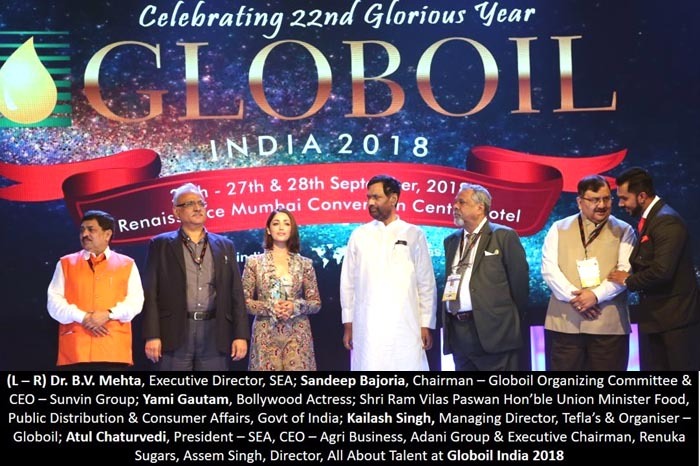 Mr. Kailash Singh, MD, Tefla’s & Organizer Globoil India also feels that Globoil Awards are easily Global Edible Oil Industry’s top business accolades and seek to celebrate visionary leadership & exemplary performance. Past winners have included the who’s who of Global Edible Oil Trade & Industry. Tefla’s is known for conceptualizing, planning and organizing research based industry specific conference & Exhibition in tandem with industry leaders & Associations. Its event calendar consists of industry specific events which have now become the annual events of various industries attracting wide and comprehensive participation. 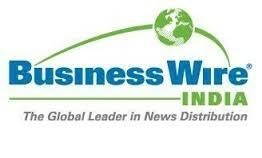 Some of its events are: Globoil India, Globoil International, The Sugar Summit, Global Grain Food & feed (G2F2), CEO (Commodity Equity Outlook) Weekend & other proposed events include Global Cotton Conclave, IMMAGE, Gold & Jewellery India, India SME Conclave and Awards, Agri Food Retail Conclave.